...it's five sites. Yesterday it was confirmed that the assembly test facility in Cavite will be shutting down and there are four more sites added to the list -> assembly test facility in Penang, Malaysia; wafer fabrication facility in Hillsboro, Oregon; D2 facility in Santa Clara, California and one in China. One of the PM here in the office whose husband is working in Intel were given a notice about this. As I heard from her story in the shuttle (I'm not completely eavesdropping since she's right next to me in the seat, how can I avoid hearing the words she said? 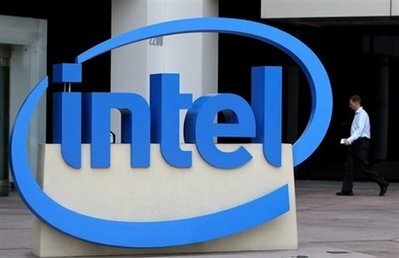 I don't have an Ipod to plug it into my ears), that some of the employees were given a heads-up last year about this issue and they all thought that they are prepared for it when it comes but when it was officially dropped they were all stunned and sentimental for the years they've spent working in Intel is coming to a close. The financial crisis and recession in various companies are felt gradually here in Manila and in other part of Asia as well. I have some friends in Singapore and one of them though holding PR visa was laid-off to work last year. Two of my friends who are both recruiters in SG told me that the work demand there was slow and there are lay-offs mostly from financial companies.